TGIF! Ready for the weekend? 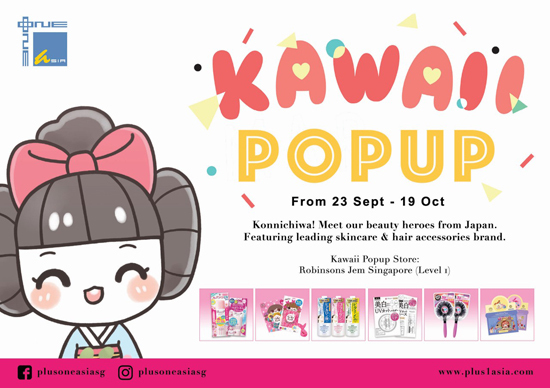 If you are a fan of J-Beauty products, do pop by Robinsons JEM, as Plusone Asia Singapore will be having a Kawaii Popup Store from 23 September to 19 October 2016. There will be Japanese products ranging from skincare to hair styling and accessories. Look out for their new arrivals and purchase promotions too!